Often, when you plan a trip to Rome, the first concern is the hotel price. In this article, we strive to find the best cheap hotels in Rome which are either central or well-connected to the main landmarks. The season, the location and the services are what defines the rates. If you are not ready to give up on your comforts and you prefer a central location yet without breaking your bank, check out our guide to the best-value and best budget hotels in Rome. While, if you don’t mind basic services and/or taking a bus or the metro to reach the city centre, this is the article for you. Find out where to stay in Rome on a budget with our selection of different areas and Rome accommodation type. We divided the hotels by macro-areas, close to the city centre, around Termini, around the Vatican, not in the immediate city centre and those that are right far from central Rome. Some places are under 50 euro per night, some under 100 euro. Located very close to Piazza del Popolo, B&B Romagnosi 20 is an affordable accommodation in Rome city centre with prices that range from 73 to 113 euro for a double room. Here you will find free WiFi and a common area. In the kitchen, guests can use a dishwasher, a microwave, a toaster, a coffee machine and a kettle to make tea. Rooms have a private bathroom with courtesy set and hair dryer, a TV and air-conditioning. The daily breakfast is Italian style. Click here for more reviews and the current price. 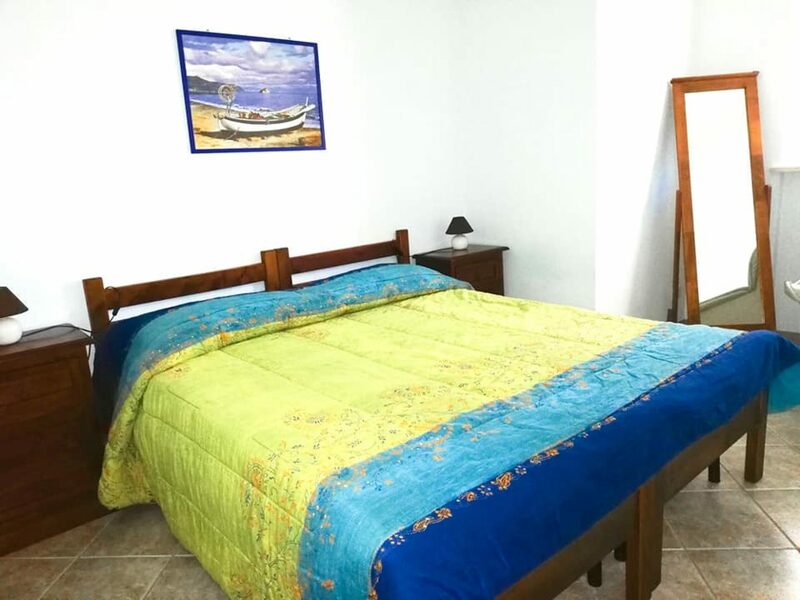 This affordable bed and breakfast in Rome is conveniently located in Trastevere, so pretty close to the city centre and the same Trastevere neighbourhood, which is a popular tourist destination in itself. Its position close to Trastevere station makes it well-connected to the city centre via public transport (tram 8) as well as Fiumicino airport with the train. In the near surroundings, you will also find restaurants, shops and bars. Luna Rossa is a small apartment well-equipped with all the necessary facilities for a comfortable stay such as fridge, microwave, air-conditioning, free WIFI, flat-screen TV. All rooms have a private bathroom. In the morning, the breakfast is Italian style. The rates for this cheap hotel in Trastevere are around 87 euro per night for a double room. Given the location, this is a pretty good accommodation deal in Rome. This affordable accommodation in Rome is in San Giovanni in Laterano area, so pretty close to the tourist landmarks of the historic centre. Other attractions such as Santa Croce in Gerusalemme Basilica and the Esquilino neighbourhood are within walking distance. From San Giovanni, you can also take a 20-minute bus ride to the Catacombs of St. Callixtus in the ancient Appian Way. While to reach the Colosseum, you can either take a 30-minute walk or 20-minute bus ride. All rooms of this bed and breakfast in Rome feature a private bathroom, LCD TV, air-conditioning and free WIFI. Guests can choose also suites that accommodate up to 4 people and include a living room. The property has a panoramic terrace and a common kitchen. In this B&B it’s possible to book a minimum of two nights, and prices start from 176 euro for 2 nights for a double room, 212 euro for the suite for two people or from 221 euro for a suite for two night for four people. READ MORE: Want to visit more catacombs and Rome’s undergrounds? Check out our review of a great Rome underground tour. DEM Hotel is in Rione Monti, so right in the city centre. The rates start from 91 euro per night for a double room. One of the favourite cheap hotels in Rome city centre, the location is really hard to beat for that price. It’s close to Via Nazionale, 10 minutes walk from Santa Maria Maggiore Basilica, 15 minutes walk from the Colosseum, the Roman Forum and the Domus Aurea. The rooms are very comfortable and modern. Each accommodation features a private bathroom with complimentary courtesy set, a flat-screen TV with satellite channels, fridge, coffee machine, wardrobe, desk, air-conditioning. The breakfast is continental and you have both sweet and savoury options. This is an apartment in Trastevere where you can rent your room (affittacamere). It’s located in the lovely Piazza San Cosimato, the very heart of Trastevere and where every morning you will see a farmers’ market with fresh fruits and veggies. The property is new, clean and comfortable. All rooms feature a private bathroom, a desk, wardrobe, minibar, kettle and flatscreen TV. Breakfast is not included but there are several nice bars and bakeries nearby. Rates start from 76 euro per night for a double room, and for this price, the location is pretty hard to beat. If it’s your first trip to Rome, this is a great choice. Perfect also for a night out as Trastevere is packed with restaurants, bars and clubs. If you are looking for cheap rooms in Rome, this affittacamere offers a good deal in a sweet location. Located in front of the Hadrian Mausoleum, close to the Tiber River and the Vatican, and ten minutes walk from Piazza Navona, this is one of the top cheap hotels in Rome. With rates starting from 95 euro per night for a double room, Ronda St. Angelo Suites is one of the best Rome hotel deals in the city centre. The spacious rooms in this quiet building feature a well-equipped private bathroom, a minibar, ironing facilities, flat-screen TV, air-conditioning and free WIFI. Breakfast is optional and costs 5 euro per day. Among the cheap hotels in central Rome under 100 euro for a double room, this is one of the most convenient. One of the cheap hotels in central Rome, from this guest house in Corso d’Italia you can reach Via Veneto with some 15 minutes walk and Villa Borghese in 10 minutes. Castro Pretorio metro line B connects you with the Colosseum and several buses takes you to central landmarks such as Piazza del Popolo and Via del Corso. If you are looking for budget hotels in Rome city centre, this is a pretty nice deal. The location is great, close to major attractions and busy streets and surrounded by some pretty good restaurants. If you like fish, try Chinappi restaurant very close in Via Velenziani 19. Room rates start from 82 euro for a double room or 76 for a single. Breakfast is not included but you can book it for 3,50 euro per day that you can have at a nearby bar. All rooms have air-conditioning/heating system and a private bathroom complete with hair dryer and toiletries. Upon request, you can have an electric kettle. This cheap hotel in Rome city centre is located in Via Cavour, Rione Monti. Colosseum, Roman Forum and Piazza Venezia are within walking reach. It’s also served by public transport with Cavour station of metro B very close as well as several bus stops. All rooms are nicely decorated and equipped with modern facilities for a comfortable stay. They all have a modern private bathroom complete with shower and hair dryer. Rates start from 95 euro for a double room or 85 for a single. Breakfast is included, it has both sweet and savoury options and is served in the room. This budget hotel in central Rome is slightly more expensive than the previous ones as its price range starts from around 112 euro per night for a double room and 100 for a single room. Due to its location, I felt like including it as it’s really central. The Jewish Quarter, Largo Argentina, Campo de’ Fiori, Trastevere and Piazza Trilussa are all within walking reach. 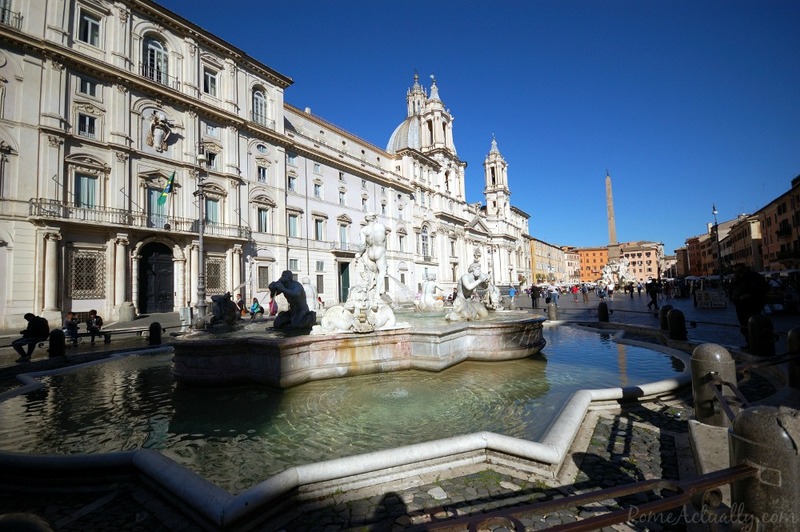 To go to Piazza Navona itself, it takes less than 10 minutes walk. Apart from its very convenient location, its rooms are modern and offer amenities such as a desk, flat-screen TV, a private bathroom with shower and some also a balcony. Even though a little pricier that the above options, I still feel this is a good Rome hotel deal in the city centre. Among the best-rated cheap hotels near Vatican City, the room rates for this accommodation start from 96 euro per night for a double room with external private bathroom. Arts & Rooms boasts a great location a stone’s throw from St. Peter’s Square and the Vatican Museum. You are also well-connected with public transport from the metro Ottaviano, tram 19 from Piazza Risorgimento and several buses from Viale Giulio Cesare, Via Barletta and Via Cola di Rienzo. All around the area is full of restaurants, bars, clubs, shops and anything you would be needing for a comfortable stay. Along Via Cola di Rienzo and in nearby Via Andrea Doria you will find also two local markets for your grocery shopping. The rooms are comfortable, spacious and well-furnished. Guests have a common well-equipped kitchen at their disposal, so you can buy your own groceries and make your own meal if one day you don’t want to dine out. Another cheap hotel in Rome near Vatican City is Gatsby Guest House. Located some ten minutes walk from Ottaviano metro station, it’s also close to Piazza Mazzini as well as many shops, restaurants and coffee shops. Rates start from 84 euro per night for a double room and all rooms have a private bathroom with shower or bathtub, hair dryer and courtesy set. Among the rooms’ amenities are a wardrobe and flat-screen TV. Free WIFI is available all throughout the property. The breakfast is not included but guests can use coffee and tea in the common kitchen and all around the hotel you can find shops and bars. This affordable guesthouse in Rome is located in Prati area close to the Vatican Museums and Cipro metro station. Close to the hotel you will find plenty of restaurants, shops and clubs for after dinner. Room price starts from 67 euro per night for a double room. While the breakfast is not included, every room has tea/coffee-making facilities and nearby are several bars as well as Mercato Trionfale, one of Rome’s best food markets where you can buy groceries for your meals inside. Nearby is also Bonci Pizzarium, one of the best pizza by the slice in Rome. Rooms are very comfortable, well-furnished and complete with all necessary needs. Among the best places to stay in Rome on a budget near the Vatican is also this lovely bed and breakfast, one of the best-rated in the area by many guests. An affordable accommodation in central Rome, the rates for Piazzetta Al Vaticano B&B start from 97 euro for a double/twin room. The position is very convenient as it’s well-served by public transport, Cipro metro/bus station is some 5 minutes away. The rooms are well-fitted with a fridge, microwave, toaster, coffee machine, safe, wardrobe and private bathroom. The breakfast is Italian style and includes cappuccino and homemade cakes. Nearby is also Mercato Trionfale, in case you want to do some grocery shopping. They sell nice fruits and veggies and they have a delicious bakery. If you are vegan/vegetarian, with some 15 minutes walk you can reach one of the very first vegetarian restaurants in Rome, Veg & Wine, formerly Taverna Vegetariana. Located in Via Germanico, very close to both the Vatican Museums and St. Peter’s Square, this is another affordable accommodation for your cheap weekends to Rome. Rates start at 99 euro for a double/twin room and the breakfast is optional and costs 3 euro each day. Rooms have a private bathroom and are fitted with a wardrobe, tea-making facilities, TV and heating/air-conditioning. Even though in a busy area, the building is quiet and allows for a good night rest. It’s also well-served by public transport such as metro (Ottaviano the closest), bus and tram (19 from Piazza Risorgimento). Nearby are the shopping streets Via Ottaviano and Via Cola di Rienzo. READ MORE: If you want to stay in the area and want to check out different types of options, read our guide to the best hotels near the Vatican. Close to Termini train station and the complex of the Domitian Baths and Museo Nazionale Romano, B&B Alexander is a great choice for staying in Rome on a budget. The rooms are elegant and furnished with all the basic amenities, including a private bathroom. The breakfast is Italian style and all throughout the property there is free WIFI. The rates start from 96 euro for a double without breakfast or 106 with the breakfast. The location is excellent, with many restaurants, bars, shops as well as the major attractions easy to reach on foot or with public transport. Among the affordable places to stay in Rome on a budget, Macy’s House is a convenient choice for both the price and the location. Rates start from 88 euro for a double room. An Italian-style and continental breakfast is included in the price and the bathroom is shared with the other guests. Rooms are spacious and well-furnished with microwave, coffee machine, desk and complimentary toiletries. This cheap hotel in Rome is well-connected to the rest of the attractions in the city centre with public transport, even though the Colosseum is easily reachable on foot through Via Labicana. On the way, you can also stop at San Clemente Basilica for a fantastic tour underground Rome to see an early-Christian basilica and an ancient Mithra temple. Very close to Termini station, the Esquilino market and Santa Maria Maggiore Basilica, this is a great area for the best affordable hotels in Rome. So if you are looking for a cheap stay in Rome, this bed and breakfast near Termini station is a good option for services and location. The rates start from 96 euro for a double room with private bathroom complete with shower or bathtub, hair dryer and free toiletries. Rooms include wardrobe, ironing facilities, tea and coffee making equipment, fridge and kitchen supplies. Around the hotel you will find many bars and bakeries and some pretty good restaurants such as the traditional Trattoria Da Danilo, Krishna 13 for some Indian dishes, and obviously the many eateries inside Stazione Termini in the new terrace as well as the Mercato Centrale with entrance in Via Giolitti. One of the best cheap places to stay in Rome near Termini is this bed and breakfast in Via Principe Amedeo, very close to the Nuovo Mercato Esquilino food market as well as the Mercato Centrale inside the train station. Room rates start from 50 euro for a double and 82 for a triple room. The price for the double room is usually 66 euro but you can often find offers and discounts. The rooms feature flat-screen TV, minibar, kettle, coffee machine and private bathroom. Here, too, you can find plenty of restaurants, the famous Regoli pastry shop and Panella bakery. The Basilica of Santa Maria Maggiore as well as the lesser-visited churches of Santa Prassede and Santa Pudenziana are within walking reach. And so is the Colosseum and San Pietro in Vincoli Basilica. This is a very affordable accommodation in Rome near Termini station. Rates start from 67 euro for a double or twin room, 58 for a single. Breakfast in included in the price and served at a bar nearby. The srooms of this simple yet well-furnished guest house feature air-conditioning, fridge, kettle, TV, and private bathroom with complimentary toiletries. Around the hotel you will find plenty of shops, restaurants, bars, and services like banks, supermarkets and pharmacies. This cheap accommodation in Rome near Termini is located on the other side of the station in Nomentano neighbourhood. Termini station is about 5 minutes walk and so is the nearby Museo Nazionale Romano. The Colosseum is 2 metro stops away and Barberini Square can be reached with a 10 minutes bus ride. This cheap hotel in Rome is located inside a historical building and the rooms feature TV, a balcony, and a private bathroom. The guest house includes also a common kitchen with fridge, tea and coffee for guests’ use. READ MORE: For more options in this area, check out our guide to the best hotels near Termini station. This inexpensive bed and breakfast in Rome is in the Gianicolense area so not right in the city centre but well-served with public transport. You can reach the main historic landmarks as well as Termini station easily using the local buses, tram 8 and train from Trastevere station. Rates for this affordable accommodation in Rome start from 70 euro per night for a double room, 75 if you take the double with the balcony. Included in the price is an Italian breakfast. The soundproof rooms feature the basic facilities for a comfortable stay such as air-conditioning, WIFI, and a private bathroom. This elegant bed and breakfast is in San Giovanni/Re di Roma area. Not too far but not even in the immediate city centre. However, it’s very well connected to the historic centre via metro A from Re di Roma station and railway from Tuscolana station. Nearby is Pompi pastry shop and you really don’t want to miss their tiramisu. Rates start from 88 euro for a double or twin room, or 91 euro if you book a double Deluxe. Included in the fare is also the daily sweet and savoury breakfast to be had at the common dining hall. Rooms are very comfortable and equipped with the basic facilities for a pleasant stay such as TV, kettle, coffee machine, fridge and private bathroom. WIFI is available throughout the property. This is also a bed and breakfast in San Giovanni area close to Lodi metro station along line C. Around this cheap accommodation in Rome you can find restaurants and shops, and one of the nearby attractions is the Basilica of Santa Croce in Gerusalemme. The spacious rooms finely furnished and decorated make it one of the best places to stay in Rome on a budget. This if you don’t mind staying a bit far from the most famous attractions, even using the metro and the local buses you are still well-connected. Rates start from 73 euro for a large triple room for two people with external private bathroom, or 77 for a double room with private bathroom inside the room. A mostly sweet Italian breakfast is included in the fare. This lovely bed and breakfast in Rome is in the Nomentano district near Via Nomentana and the area of the foreign embassies. 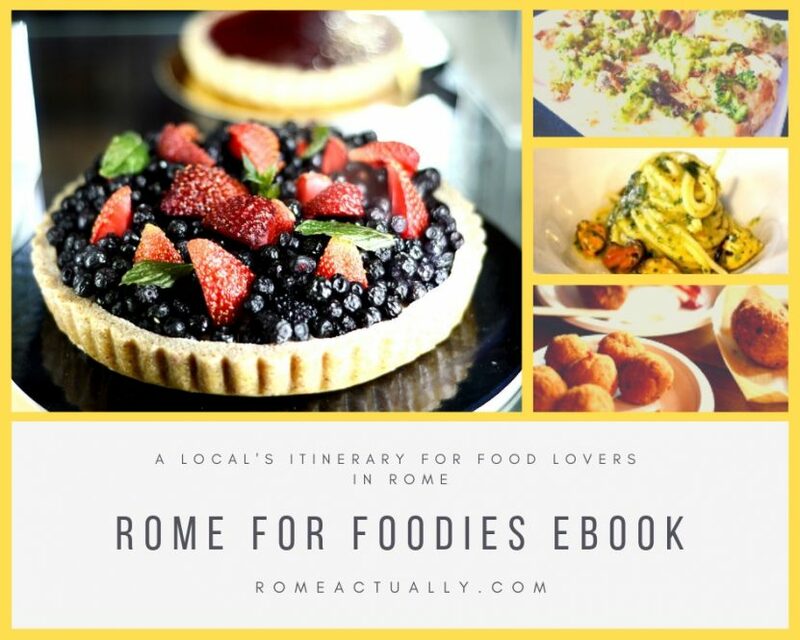 Nearby you can find several restaurants, including the nice vegan eatery Madre Terra, and Momart Restaurant Café that serves one of the most popular aperitifs in Rome. Very close is also Carrefour supermarket open 24/7. This area is well-connected to the city centre as well as Termini station with many buses and metro B from Bologna station. 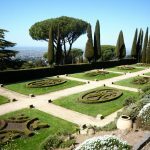 Plus, here you can visit landmarks like Villa Torlonia and Quartiere Coppedè, one of Rome’s hidden gems, with about half an hour walk or 15 minutes by bus. Rooms and bathrooms are new, modern and well decorated. They include all the basic facilities for a comfortable stay. Rates start from 80 euro for a double room, 84 if you book the room with the balcony. Breakfast is not included and costs 10 euro per day. Located close to Baldo degli Ubaldi metro station along line A, this is one of the inexpensive places to stay in Rome. This area, even though well-connected with the metro A, several buses and pretty busy day and night, is quite nice for finding cheaper hotels in Rome. Rooms are nicely decorated and they all include a private bathroom, a living room, a kitchen with oven, fridge, stove top and coffee machine. All the property is covered with WIFI. Rates start from 59 euro for a double room. Breakfast is not included but you can opt in for 2 euro per day. For a cheap stay in Rome well-connected with the city centre and surrounded by plenty of restaurants and shops, Domus Vittoria Romana is a sound choice. Even though it’s not in central Rome, you won’t need a car to move around. Modern and well-furnished rooms, well-served by public transport and in such a lively area, this is one of the best Rome hotel deals. Very close to Via Nomentana and the museums of Villa Torlonia Park, former Roman residence of Benito Mussolini, this inexpensive guest house is well connected to Termini station and the city centre with several buses and metro B from Sant’Agnese Annibaliano station. Piazza Bologna is less than 1 km away and all around the area you can find nice restaurants, lovely cafes like Giada Food Labs & Drinks, shops and also pubs for aperitifs like Momart and after-dinner drinks. Rooms and their private bathrooms are new and modern. Each accommodation includes also a minibar,LCD TV with satellite channels, tea/coffee-making facilities, and good quality mattresses. Prices are very reasonable and start from 66 euro for a double/twin and 58 for a single. Breakfast is not included. This is another affordable accommodation in Rome not too far from the city centre located between San Giovanni and Re di Roma. It’s well-served with public transport, both bus and metro line A, and in the area are plenty of shops, restaurants, cafes and bars. Prices start from 67 euro for a double room, which makes it a cheap lodging in Rome given also the convenient location. Breakfast is included and is served at a nearby bar of your choice among two options. One is also a bakery in case you prefer a savoury breakfast. Each accommodation has its own private bathroom and amenities such as flat-screen TV, WIFI, electric kettle, coffee machine, and desk. Close to the metro A Cornelia station, this inexpensive Rome accommodation is connected to the city centre with the metro and several buses. The neighbourhood is very lively day and night and full of shops, restaurants and bars. Here the fares start at 69 euro for a double/twin room, including breakfast. Breakfast takes place at a local bar, while in the common area you can enjoy free tea, coffee and cookies. All rooms have private bathroom featuring shower with hydromassage function and are nicely decorated and equipped with amenities such as TV, air-conditioning and WIFI. For more Rome accommodation deals, you might need to stray a bit farther from the city centre. This Rome bed and breakfast is located in Eur/Garbatella neighborouhood. While it’s a bit far from the city centre, Marconi metro station on line B is some 15 minutes walk. Prices start under 100 euro from 87 euro for a double room including breakfast, 10% VAT and tourist tax, which is 3.50 euro per night. Breakfast is rich and diverse, including both savoury and sweet options with cheese, cold cuts, yogurt, cakes, coffee, orange juice and more. Rooms are new and elegant. They all include a modern private bathroom well-fitted with all necessary facilities such as shower, bidet, towels. Each accommodation has WIFI, TV and minibar with complimentary water bottles, some rooms also a balcony. This is a fantastic apartment in Fiumicino, so perfect if you are on a short layover and need to get to the airport early in the morning or if you want to enjoy Rome but stay away from its traffic. This home stay near Fiumicino airport is well furnished and cosy. The warm decoration and many facilities will make you feel at home. Each accommodation has its own private bathroom, a living room, a well-fitted kitchen with an oven, a microwave, a fridge, a stove top and an electric kettle. There are two supermarkets just down the road in case you don’t feel like eating out, especially at night after your sightseeing. The kitchen is fully equipped so you can make your own meal with ease. Guests also have free WIFI and access to the garden. Each accommodation has a double bedroom and a sofa bed. The rates start with 54 euro per night for three people if non refundable, 60 euro for two guests refundable, 50 euro for a single guest. While you can catch the train to Rome from the airport, if you stay in Fiumicino it’s definitely recommended renting a car. You can rent a car at Fiumicino airport for rates starting from as little as 4.20 euro per day. This low-cost hotel in Rome is quite far from the city centre but close to several bus stops and Tiburtina train station. This is a good location for who needs to get to Fiumicino airport as there is the direct train every 15 minutes. All around you will find shops, banks, pharmacies, bakeries, restaurants, pubs and all sorts of eateries. Room price starts from 67 for a double room and 47 for a single. Breakfast is included and it’s buffet Italian style. Each accommodation features electric kettle, ironing facilities, wardrobe and free toiletries. Bathroom is shared with the other guests. There is only double bedroom Superior that features a private bathroom and the price is 82 for two people or 56 for a single guest. Guests here appreciated the staff availability, the location close to the train station, the quality/price ratio, large, well-decorated and very clean rooms. This is another one of the cheap places to stay in Rome. It’s far from the city centre, close to Ipogeo degli Ottavi train station along Via Trionfale north of Rome close to the Cassia road. The train makes it easy to get to the city centre. In 15 minutes you can reach Valle Aurelia metro station along line A and in 20 minutes you get to Roma San Pietro station near the Vatican. Around the area you can find a Conad supermarket, a veggie shop, a delicious gelato shop in Via della Stazione di Ottavia and a nice pizza place for pizza by the slice takeaway. Room rates start from 46 euro for a double with shared bathroom or 54 for a double Deluxe with private bathroom. Breakfast is not included and a deposit in case of property damages is required. Each accommodation features a flat-screen TV, free WIFI, air-conditioning/heating system, a microwave, dining space, coffee machine, kitchen tools and fridge. Guests can also use the common kitchen. This apartment is perfect if you prefer to spend a holiday keeping the privacy and comforts of a home instead of a hotel. In the nearby supermarket you can find everything you need to make your breakfast or dinner if you don’t feel like eating out. Guests have appreciated the location close to the train station, the helpful staff, the new and spacious rooms. Close to Colli Albani metro station, line A, this lovely Rome B&B is pretty far from the city centre. The area, however, close to Via Appia Nuova, is pretty busy and has many restaurants, shops, bars, eateries and all services such as banks and pharmacies. There are also several buses, but to get to the city centre the metro is your best bet as it’s pretty far. Prices start from 77 euro for a double room or 81 for a double with the balcony. Each accommodation is soundproof and has its own private bathroom and facilities such as TV, electric kettle, coffee machine, WIFI. Rooms are nicely decorated, minimalist and elegant. Breakfast is included in the price room and is rich and diverse with fresh croissants and both sweet and savoury options. Located in the busy Via Tuscolana, these cheap rooms in Rome are far from the city centre but well-connected with the metro from the station Furio Camillo almost at the end of line A. The area is packed with restaurants, shopping centre, cinema and all types of shops. So whatever you need to buy, here you can find it cheaper than in the city centre. Room prices start from 83 euro for a double but sometimes you can get offers and discounts and find the room at 61 euro. Breakfast is not included. Each accommodation has its own private bathroom and the basic facilities for a comfortable stay including TV and electric kettle. Guests here have appreciated the attention to the detail, the well-furnished rooms and bathrooms, staff efficiency. This is a lovely inexpensive Rome accommodation but quite far from the city centre and not close to the metro station. However, there are several buses, especially once you get to Via Casilina. The room price starts from 65 euro for a double room with private external bathroom or 69 with bathroom inside the room. Breakfast is not included and it costs 20 euro per day. It’s also possible to book a spa session. Each accommodation features air-conditioning, electric kettle, coffee machine, flat-screen TV, hair dryer, free WIFI. Rooms are decorated with an original touch. Guests have appreciated the complimentary coffee, tea and cookies, the attention to the detail, staff efficiency and availability to give tips on where to eat in the area as well as how to get to the city centre and the original style of the rooms.